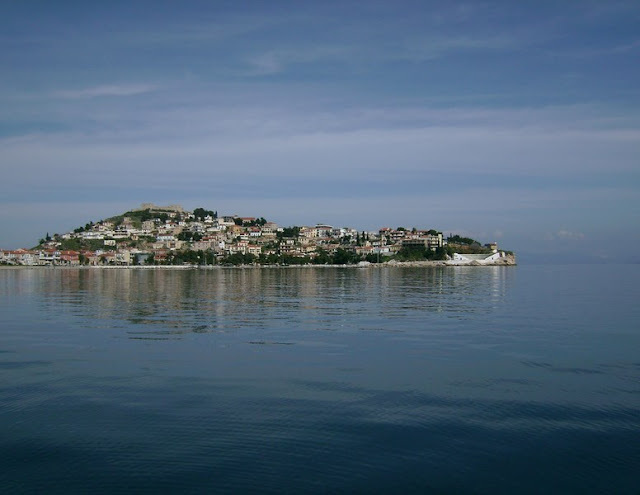 The statue of mermaid Stheno guards the harbour and it is an attraction. Paralio Astros ithe ornament of coastal Arcadia with its clear waters, long beaches and the castle on the top of the hill. It is in eastern Peloponese in the Argolic bay. The name "Astros" means star because the peninsula where Paralio Astros is located looks like a star. In the ancient years the hill of this place or 'Island' by the locals was surrounded by sea. On the top of the hill can be seen the medieval castle. It was a fortress and it could communicate with other castles with fires. In 1256 it was fortified and improved by William Villehardouin, sovereign of Ahaia princedom, to submit the Tsakones - rebellious people of the area. So it took the name Castello della Estella which means star castle. 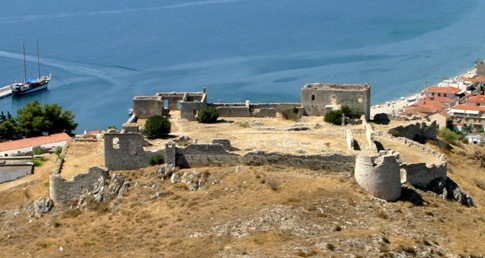 During the Greek revolution against the turks it was used as a fortress by the Zafiropoulos brothers, which had an important role for the area. Below the castle there is the church of Virgin Mary, its existence is estimated in 1256, since Villehardouin's time. It is a simple, beautiful temple with a nice view to the sea. Another thing that a visitor can see and admire is the special, stone building of the Lighthouse. It started to work in 1893 and it belongs to the lighthouses service of Military Navy. It does not work anymore but there is another lighthouse on the other side of the hill. 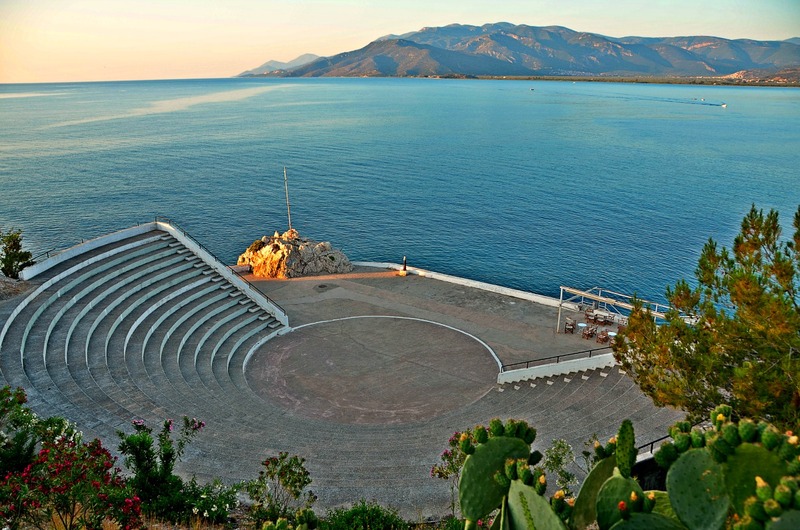 The open theatre hosts a lot of performances, music and dance festivals, concerts and other things. In the nearby town, Astros, 3km from Paralio Astros, there is the archaeological museum with important exhibits and statues from the area. Unfortunately it is closed because of some damage from the earthquake in January 2008. Today a lot of effort is being made to open its gates to the public. 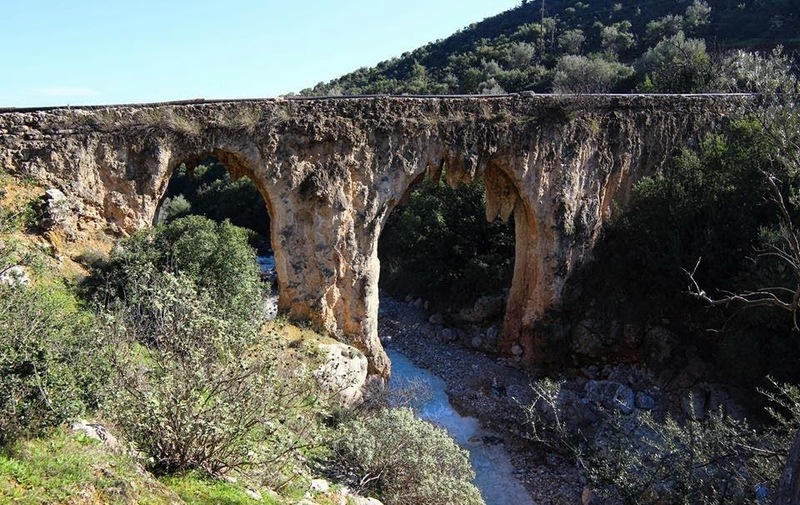 The area has got a lot of places of interest such as Moustos lake, the picturesque mountain villages of North Kinouria like Agiannis, St Petros, Kastri, Prastos, Kastanitsa and many others. 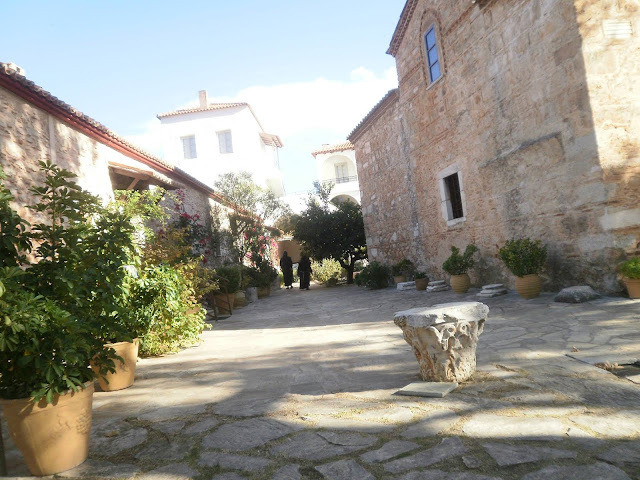 The monasteries of Loukou, Paliopanagia and Malevi. 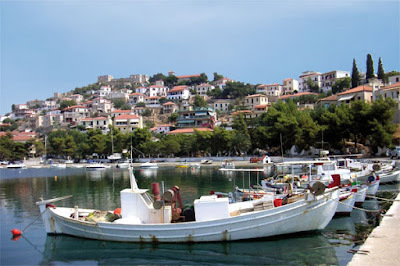 Beautiful long beaches and nice fish villages. So Paralio Astros can be a starting point for everything!! 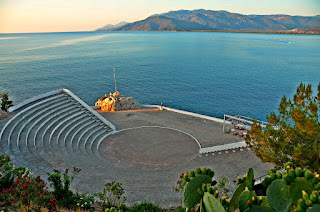 Paralio Astros is located in Peloponese, North Kinouria municipality and it is a popular holiday destination which combines sea and mountain in case someone wants to visit the picturesque, mountain villages of North Kinouria. 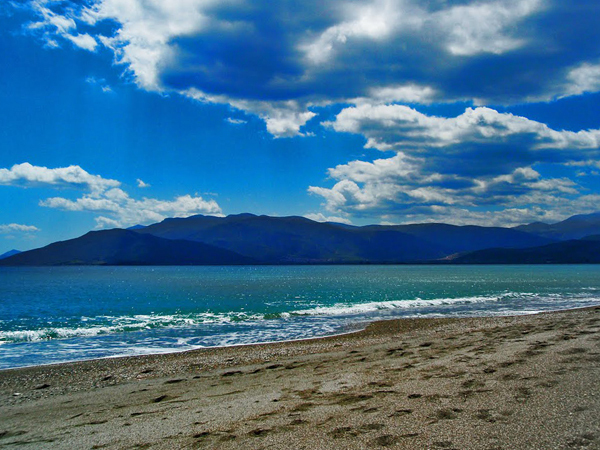 It is 32 km from Nafplio, 42 from Tripolis and about 2 hours (165 km) from Athens by car. In the past 20 years it has had a growing touristic development and the reconstruction of its harbour proves this. It provides a great variety of hotels and other accommodation for all budgets. Paralio Astros took its name from the peninsula hill which is star shaped. On the top of the hill it is located the medieval castle which was built in the 15th century. It was called Castello della Estella which means the castle of the star. During the Greek revolution in 1821, it was used as a fortress by Zafiropoulos brothers for their fight against the Turks. The visitors can enjoy its view especially at night when it is illuminated and it can travel you back in time. Paralio Astros definitely gives an island impression with the stone houses which are built amphitheatrically on the hill, with the fishing boats and the clear, blue sea. Near the square, in the main cobbled street, the visitors can wander around the shops. But what Paralio Astros boasts most are the long beaches. They are up to 14 km long in two different sides with equipped canteens and stores. This place also has a lot of local products from the whole area, like dairy products, traditional homemade pasta, honey, homemade jams and sweets, mountain tea and lots of other herbs. In addition there is a big variety of local fruit and vegetables always fresh which can be found in the markets around and of course fresh fish! But what about those who love good food? Paralio is also a food paradise; there is a great number of restaurants and taverns where visitors can sample exquisite different tastes of Greek cuisine and others. These are some of the things that make Paralio Astros a must-see place.